Embarking on a community service project can be the perfect way to spend some time over the summer that will do double-duty as college application gold. Not only will you have something interesting and worthwhile to add to your resume, but your experience may experiences and insights you’ll turn to later in your college application essays. College admissions officers have always looked favorably on students’ community service commitments and contributions, but as the applicant competition continues to stiffen, colleges are looking even more to the quality and creativity of an applicant’s community service. 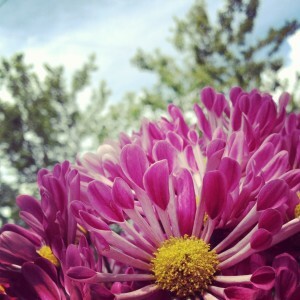 Meaningful time spent, rather than a few hours here and there, can make a big impression. But with school years packed with homework and extracurricular commitments, it can be difficult or impossible to find a significant chunk of time. Summer, however, is three wide-open months and the perfect time to find a week or more to do a serious service project. Increasingly, students are looking to service projects abroad. This is a great way to see the world but keep in mind – community service should not feel like a luxury vacation! Seek out a program that is part of an established organization in the area you want to go and make sure that the program spends the majority of your time there on the service project. It is also good to make sure they’ll immerse you in the local culture – that is part of the allure! In fact, some schools, including selective Tulane University in New Orleans, specifically ask applicants whether they have done an international service project. Students also frequently embark on mission trips through their church, mosque, or synagogue. These trips encourage kids to share with their neighbors to give back to those less fortunate and often include a lot of work. This is good! Mission trips often give students over a hundred hours of community service which can qualify for service awards and recognition. One way to make this even better: try to obtain a leadership position on the trip – this can make an already great program even more significant. Another option is to take the bull by the horns and start your own service organization. Come up with an idea, enlist some friends to help, and you’re off and running! This may sound overwhelming but it can be easier and cheaper than going on a trip with an organization. A run-down of steps to start a grassroots service group is outlined in our book – Get Your Summer Strategy On! It is available on Amazon.com or you can download it as an eBook from our website by clicking here. This book will give you loads of ideas for turning your summertime into college admissions gold. Summer is right around the corner. As high school students, or parents of high school students, now is the time to start thinking about productive ways to use the break. We’re all for some relaxation – but a summer job, volunteer position, or university summer program can be a huge help when it comes to college admissions time. We wanted to share some information about the different types of university programs for high school students to help you start planning. For Credit: some programs actually enroll students in courses for college credit. 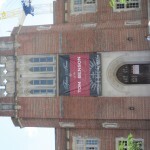 Not For Credit: these programs serve as previews into the possibilities of college. They allow students to relax and enjoy the experience of the college campus, as well as have a good time studying fun subject matter. Free Programs to Qualified Candidates: some universities offer free summer opportunities for enrichment, understanding that the financial burden of most summer programs eliminates all but the wealthiest applicants. These programs are generally targeted toward minority students, including racial minorities and women. 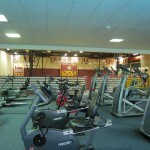 Residential Programs: students stay on campus for the duration of the program. This can be intimidating but extremely rewarding as students can focus on their projects and bond with other participants. 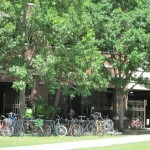 Commuter Programs: many programs offer a commuter option for students who live nearby. These options can save money and it’s a good starter program. Longer Programs (more than 3 weeks): these programs require a student to commit to multiple weeks on campus but they are great for students who are entering their junior or senior year and want to show dedication to a subject. Shorter Programs (less than 3 weeks, sometimes as little as 1 day): very targeted and very specific programs focused more about giving information on one topic than giving exposure to college realities. Within all these categories, the main point is to look for programs that actually interest you. There are more options than you can imagine – it may just take some time with Google to find the right program for you. For more information on the types of programs listed above as well as some examples of subject-specific programs, think about purchasing the 2012 edition of our book, Get Your Summer Strategy On. It’s available on Amazon here. Have you participated in any great summer programs that you’d like to share? Please comment below! College Rankings: Are you fooled? For a long time, I have wondered about college rankings. I mean, what group of individuals in America is so august that it has the audacity to gaze down from the mountaintop and pass judgment on so many institutions of higher learning? Personally, I attended Southwestern University and the University of Houston, neither of which garners astronomical scores on the most esteemed of American college rankings… Yet, my professors were excellent, all of them extremely accomplished, published researchers who were scholars first, humans second. There was not one moment with a tenured professor at either one of my universities when I doubted whether a professor had meaningful lessons to teach me, no less meaningful than I might have received at a school with higher rankings. Recently, I met a girl, Ming, when I was volunteering at a college admissions event with the Houston Mayor’s Office. She was outstanding in every way: excellent grades, incredible test scores, published research, work experience. She was also an immigrant whose parents’ only gauge to measure colleges was the US News and World ranking system. They were very well educated, but not in the United States, so they assumed that those rankings were based on clear-cut facts, besides selectivity and dollar signs. Ming’s family was convinced by the rankings that if she did not attend a top-ranked college, then she could never get into a renowned graduate program in genetics – a terrible misconception, one that is all too common. In fact, I thought she should consider our local university, the University of Houston, which has an incredible honors program with terrific professors and exceptional research opportunities. 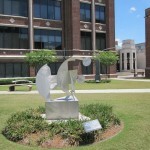 Those instructors are connected with every institution in the world and are involved in projects with NASA, ExxonMobil, the Texas Medical Center, etc… If she works hard at UH, the grad school world is her oyster. People from all sorts of undergraduate programs get into avant garde graduate programs. When you’re applying to graduate programs, the admissions directors are more interested in what you’ve done than where you went to school. That means you need to work hard in college – do research, write articles, pioneer something. Don’t be fooled into thinking your university alma mater can win you acceptance ANYWHERE. Wherever you go to college, it’s what you do with your time that matters, and you might even find that lower-ranked colleges are more interested in helping you succeed, more invested in preparing you as an individual to pursue your goals. For instance, in a recent article on the Washington Post blog explained how much more deeply a small university may commit itself to student success than its larger, more glamorous counterparts. In it, Mark Gordon, the president of Defiance College, a liberal arts college in Ohio, illustrates the absurdity of college rankings by explaining that they are based on nothing more than student entry qualifications; rankings tell you nothing of student success. Rankings are based on reputation, which is based on past rankings, which may have been skewed from the start. It’s certainly not a reliable measure to use for picking a match school. Instead, you should consider the uniqueness of a school’s program and find the approach that best matches your personality. Before reading Gordon’s article, I had never heard of Defiance, but now I am intrigued and believe its hands-on format may offer the perfect amount of guidance for some of our students. Defiance may not have high rankings, but the school lives up to its name and refuses to follow the pack. A student who goes there is likely to walk away ready to work in the world. Can all of those top schools say the same? There’s no getting around it. 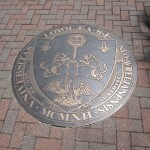 Loyola is a beautiful school with a set of advantages that distinguish it from any other university we’ve visited. 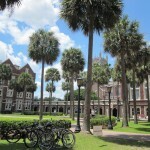 Everyone knows that New Orleans is an exciting destination for a zany vacation, but the prospect of living there seems to overwhelm many potential college students. That’s because you’ve only heard of the French Quarter; Loyola is in the Garden District. The Garden District may be America’s most beautiful neighborhood. No, there aren’t any McMansions or sweeping, gigantic 20th century monsters. Instead, the Garden District is overflowing with history, class, and culture. It’s the ideal setting for a serious institution, and that’s why two – Loyola and Tulane – have chosen to call the Garden District home. 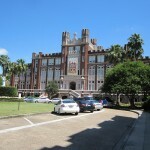 Loyola has about 3,000 undergraduate students, so it’s about half the size of Tulane, its next-door neighbor. However, size has not held Loyola back; instead, that intimate environment has given many of its students wings to flourish. I ran into one of my former students, a girl I advised in the 2008-2009 season, while I was on the campus, and she thanked me profusely for introducing her to Loyola. When I asked her what she had enjoyed most about Loyola, she told me that it had given her the perfect combination of college fun and educational options. She was interested in law, and unlike many small schools, Tulane offered her a pre-law curriculum, with a major in Criminal Justice. She has better grades in college than she ever did in high school because of their awesome professors and terrific course lineup. My favorite part of Loyola deserves a special discussion: the public transportation. One of my greatest concerns for students is the potential for car accidents while away at college. Loyola (and its neighbor/rival, Tulane) are perfectly situated to take advantage of the New Orleans Streetcar. The Streetcar can take students down to the Canal/Bourbon Street area for about $1.00, which eliminates their driving down to crazy town on their own. Since the Streetcar shuts down around 10:30, students will need to take a taxi back to campus, but the Streetcar cuts down on the overall costs. Plus, taxis are cheap in New Orleans, not to mention abundant. Long story short, although New Orleans is one of America’s wildest cities, it’s also one of the safest for college kid transportation. You just need to take advantage of all it has to offer. 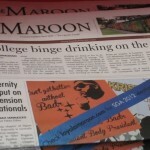 My only issue with Loyola was their dorm setup because many small schools have dorms that are in better shape. 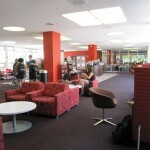 However, they’re still way nicer than the dorms at public universities, and who needs to sit around a dorm room anyways? It’s really more for sleeping than anything else. And, in any case, you want your school to be putting its resources into the educational facilities, not the country club features. Those are the aspects that will pay off for you in the long run. Cons of Loyola: Intense Humidity, Dilapidated Dorms, So Much Opportunity for FUN! Jessica recently contributed to an article on CollegeXpress.com written by Jim Martinho about tips to help score high school internships. Click here to read his post, and thanks, Jim, for getting in touch! We told you earlier in the week about our awesome summer application Crash Courses and today we’ve got more exciting news: We’ll be funding scholarships for 24 students to participate in an exclusive course session at the University of St. Thomas from August 6-10, 2012! During the week-long Scholarship College Application Crash Course, high school juniors will work with All-in-One’s experienced college admissions consultants to complete the key written components of their college applications – a resume, three essays, and the ApplyTexas online application. Students will also have the opportunity to hear from admissions personnel from several Texas colleges and tour the St. Thomas campus. (3) Be nominated by their high school counselor. Counselors may nominate up to five students each. Nominations must be submitted using the online form available here. Students will be responsible for securing their own transportation. Lunch and computer access will be provided each course day. Please direct any and all questions to info@allinoneacademics.com. Thank you to the University of St. Thomas for its continuing efforts to improve college access and their generous partnership. We are looking forward to a great session! What if you could start senior year with the bulk of your applications already complete? Senior year can be a stressful time. What if there was something you could do with your free time during the summer that would help lessen the stress of your last year of high school? What if you could start senior year with the bulk of your applications, essays, and resume already complete? We have a solution to make that a reality! We are now enrolling students for the All-in-One Academics College Application Crash Courses. During All-in-One’s Condensed Crash Courses students are guided through the process of writing their college resumes and three application essays. The Condensed Crash Courses have a 10:1 student teacher ratio and include 20 hours of instructional time. Dates are July 9-13 or July 16-20. All-in-One’s Platinum Crash Courses provide a more intensive experience broken up into two modules based on application type and are limited to ten students per five-day, 30-hour, week-long session and have a 5:1 student-to-teacher ratio. Parents and students benefit from individual college-choice consultations and up to ten hours of additional essay editing by All-in-One’s expert consultants. Platinum Crash Courses are broken down into two modules, one targeting the Common Application, which is accepted by more than 400 colleges, and the other focused on the ApplyTexas Application, which is accepted by Texas universities. Platinum Crash Course dates are July 30-August 3 for the Common Application and August 13-17 for ApplyTexas. Students can also enroll in both modules for a substantial discount. We’ll also be hosting an information session and reception on Sunday, April 29 at 2pm. We’ll get together to discuss the College Application Crash Courses and Jessica Givens will share her funny and informative presentation Five Secrets to College Admissions Gold. To RSVP, please send an email to may@allinoneacademics.com or call 713-405-1193. We hope to see you there! We are so excited to have just released the 2012 edition of our book, Get Your Summer Strategy On! 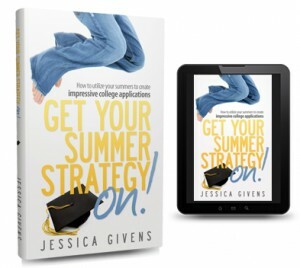 Written by our very own Jessica Givens, this book helps unlock opportunities to turn your free time during the summer into college admissions gold. Participate in college summer programs – Involvement in summer academic programs shows students value education and academic excellence. These programs, offered at local colleges or prestigious colleges, are geared toward high school students, offering and introduction to college studies and expectations. Volunteer – Community service illustrates an applicant’s desire to make a difference, whether in his or her local community or abroad. Volunteer efforts should be focused in areas of genuine interest to the student and should reflect honest time spent. In addition to positively impacting your community and impressing college admissions boards, applicants can often apply for impressive community service awards as well. Take part in summer research programs – Familiarity and understanding of the research expectations at the university level can be hugely beneficial to applicants. Participating in a summer research program allows students to show they are prepared for college-level research requirements. Typically offered through an affiliation with a university, summer research programs also offer the opportunity to network within the university. Secure a meaningful summer work experience – A meaningful work experience signifies that a student is committed to furthering his or her knowledge of the field in which he or she hopes to study. Work experience must add focus, either through jobs that mirror a potential career or internships, to a resume. Whether you’re heading into the summer before freshman year or the summer before senior year – there is actionable information in this book that will help you make productive use of your summer and make you more attractive to the admissions committees of your favorite schools. To read an interview with the author, Jessica Givens, please click here. The 2012 edition of Get Your Summer Strategy On is available as an eBook as well as a paperback! eBook versions are available on our website here. Hard copies are available on Amazon. We hope you enjoy it! Obviously, we’re into summer activities; that’s why we wrote an entire book on the topic. But my favorite place to recommend is often Athens, to send a student to do archaeological work on an active dig. Well, in recent times, that suggestion has fallen on not only deaf, but often hostile ears, as clients and customers point to the riots in Greece, the uproar in the streets, and the oozing poverty of the region. We have decided to check it out for ourselves, so we can include a section about archaeological digs in our 2012 edition of Get Your Summer Strategy On! From the moment we arrived in Athens, we got the feeling that the reports of violent discontent were grossly exaggerated. The airport ran smoothly; the plumbing functioned properly; and the taxi sped easily through busy streets. Yes, there is graffiti on the exterior walls of almost every building, but, guess what!, I think that’s probably been there since the beginning of time. Consider the fact that much of what we’ve learned about Roman culture has come from the etched graffiti at Pompeii. Graffiti can be part of culture, and Athens proves the point. Ever since we arrived, we’ve walked the streets, eating the food and seeing the sights. And, there’s been no sign of unrest. As a matter of fact, the hotel workers laughed when I asked about riots closing the museums. But don’t take a first impression as gospel. Follow us for a few days, and let’s see what we find!